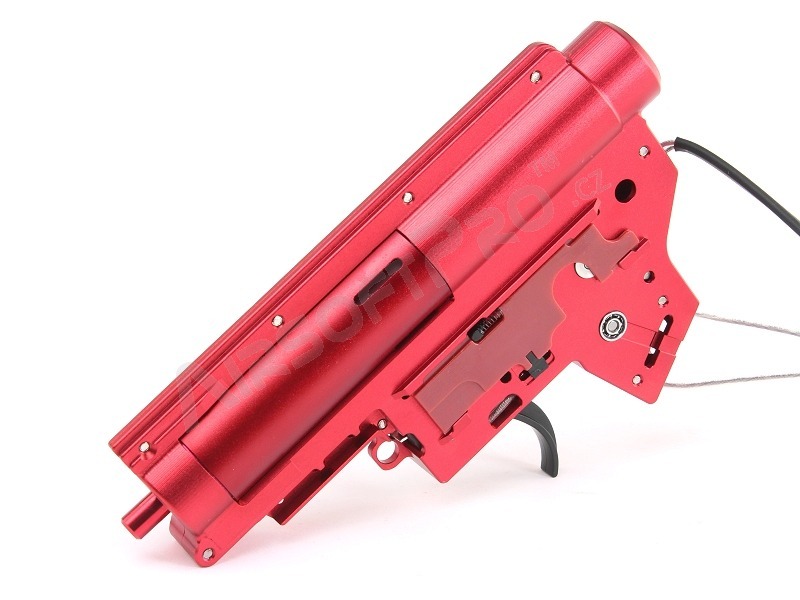 Durable CNC aluminium gearbox ver.2. Made of aluminium 7075. Beautiful looks, high precision, high intensity. 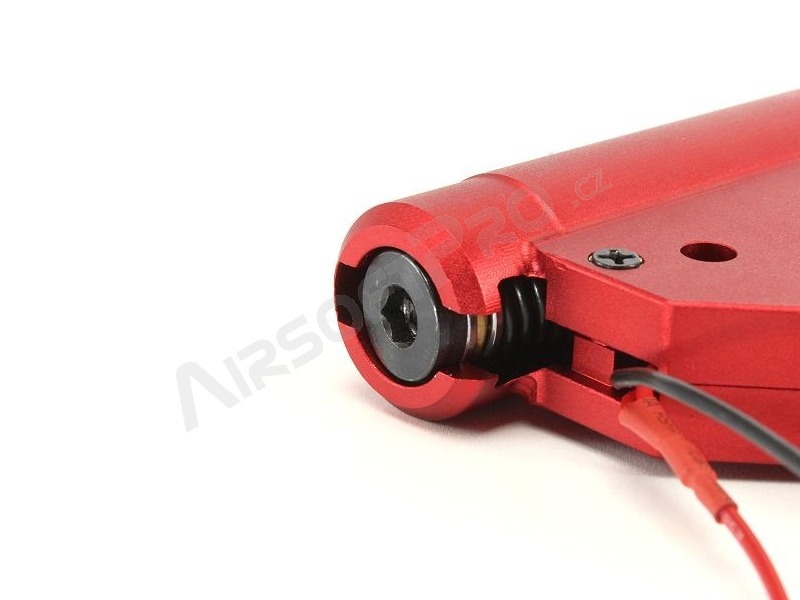 Suitable for those who like high precision and light AEG players. Gearbox has unique design. You can remove spring with the spring guide very easy from the back end. Without gearbox disassembly. So you can easy change spring. 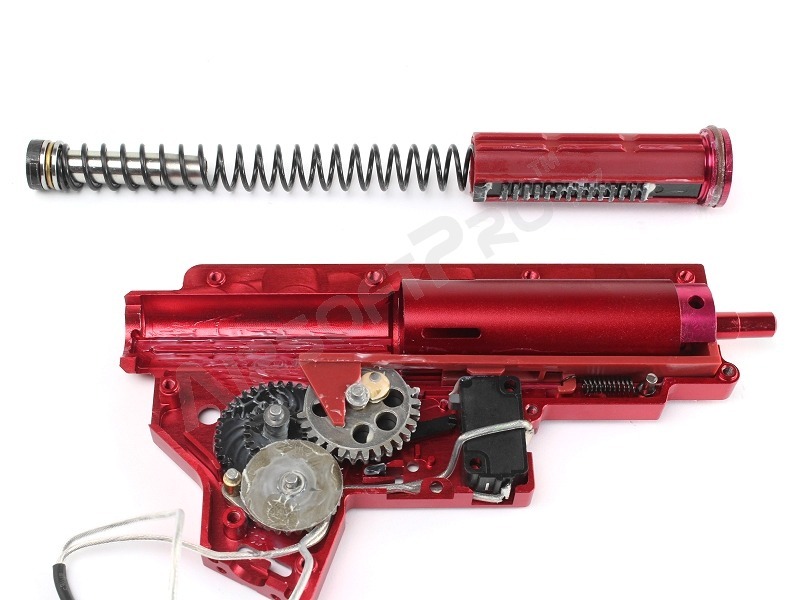 Complete pre-assembled gearbox is a good alternative for those who want a complex upgrade your weapons. Without having to fight the compatibility of internal parts, asse,bly and shimming. 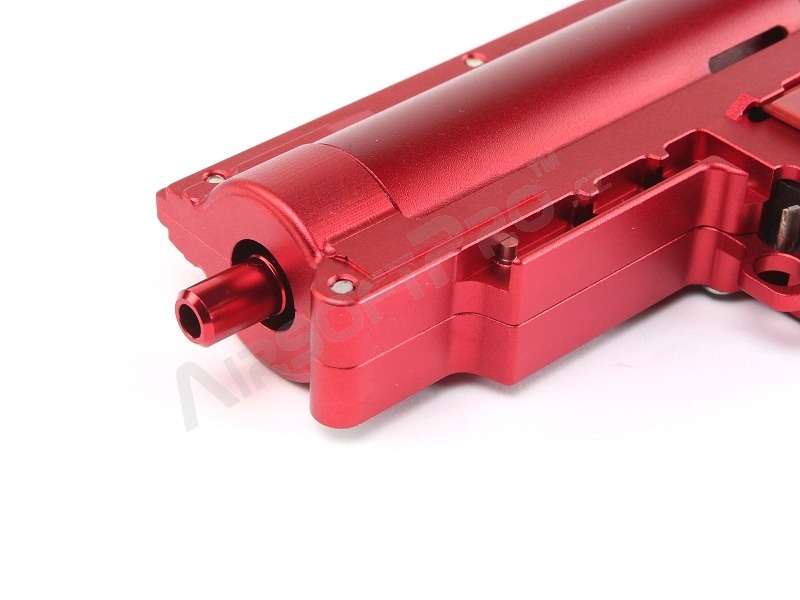 Above all, price is cheaper compare to separate parts purchase. Customer has to insert gearbox into body. Just it. But as ussual, requires advanced knowledge of the function of airsoft guns. 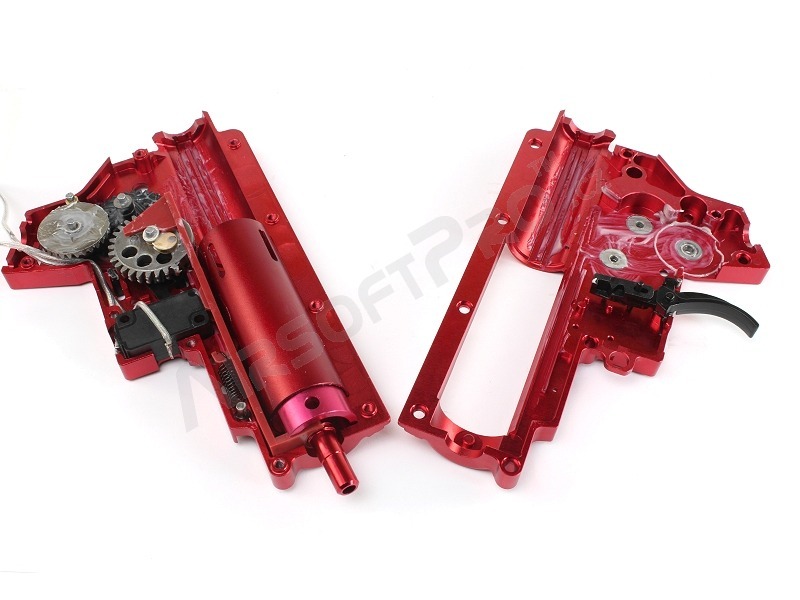 Offered gearbox is from the holes and size point of view MARUI standard. 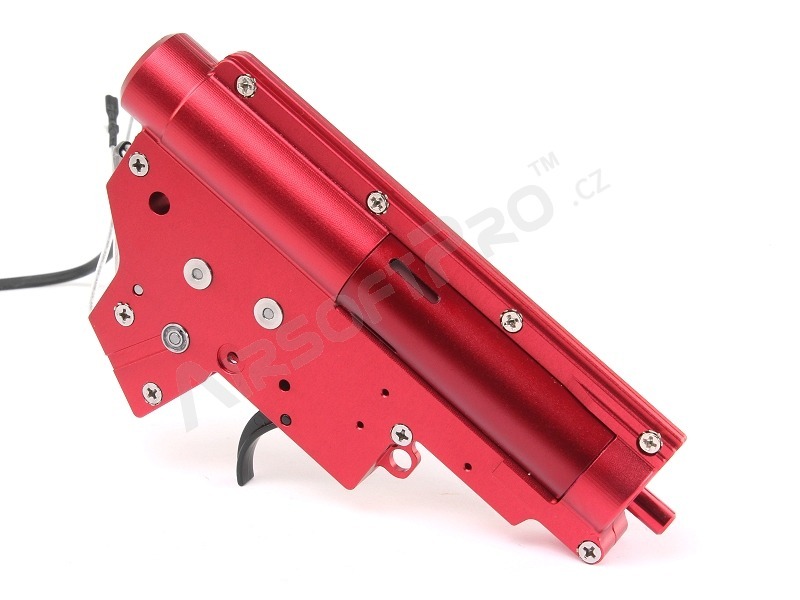 Gearbox Durable CNC aluminium gearbox ver.2. Made of aluminium 7075. With quick spring dismantling (QD). Reinforcement is mainly in area above the cylinder head. 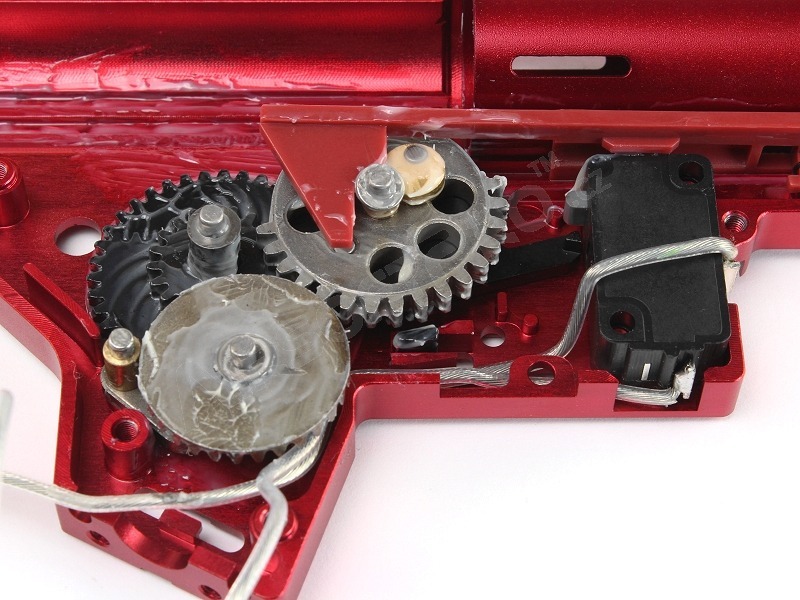 Gearbox is much wider on this place and it reduces the risk of breaking. Wiring Wiring is low resistance with silver. No fuse Wiring is long enough for front, resp. back crane stock wiring (Depend on model). Equiped with small Tamiya connector. Gears Gearbox is equipped with CNC steel gear set with ratio of 18:1. Gears are well oiled and shimmed. 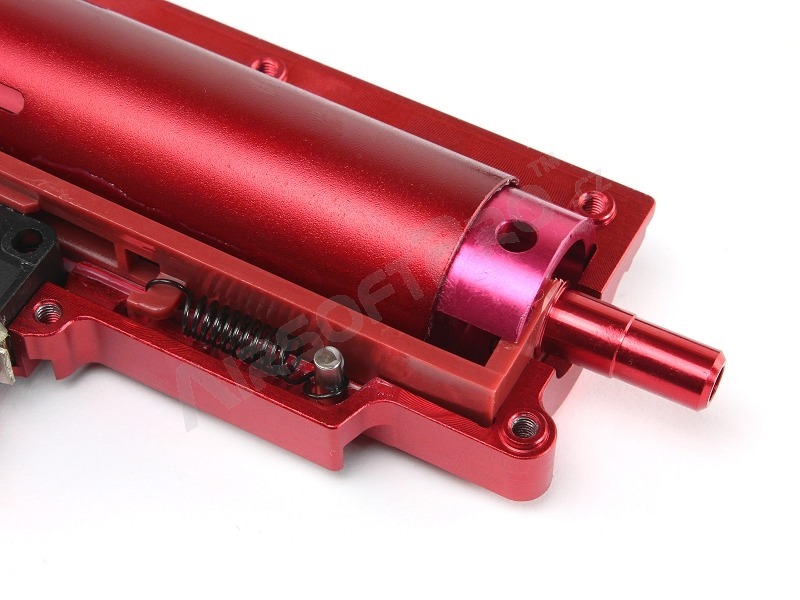 Spring Gearbox is equipped with M150 progressive spring. 11.1V lipo battery can worn trigger contact faster. It is due to high currents. 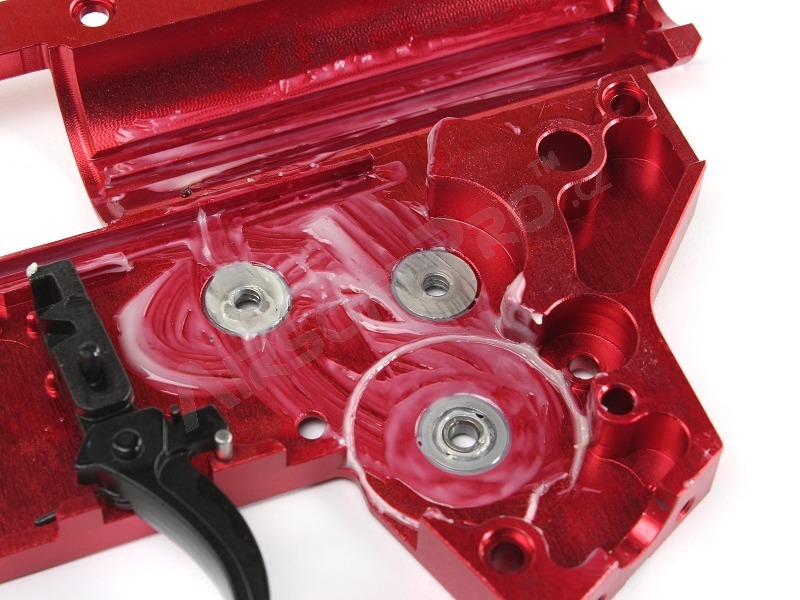 Colour of the gearbox anodize may be different.